My marriage is falling apart. I made this Pico de Gallo in hopes to rebuild. We can rebuild! I pronounce the word salsa with the first syllable rhyming with the word “all”. Salllsa. But without the extra Ls. I’m just trying to make a point. Like Better Call SAULsa. You get it. You totally agree with me, right? The Hungry Husband pronounces it like the name “Sal”. It rhymes with the first part of Allen. Saaalsa. Not the long A. The “a” sounds like cat, at, fat. Should I do a demonstration on Snapchat? I’m on Snapcat. Did you know? It’s all a buzz. The journalistic authorities are talking about my Snapchatting all the live long day. I wish they’d stop. 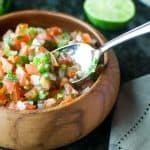 This Pico de Gallo recipe is a quick mix of fresh chopped tomatoes, onions, cilantro, jalepeño, garlic, and a pinch of lime. Ain’t nothin but a thing. You can call it Salsa Fresca, if you want. Just don’t call it SALsa. Spanish speaking descendants will arrest you for such nonsense. And I will cringe. Which, as you know, is your biggest fear. Do these pictures look weird? We lost a box of photo equipment in the move (like our damaged furniture wasn’t enough) and my lighting is all wonky. I’m only partly lying. I used my light box but forgot to turn off the overhead kitchen lights so the tungsten apertures of the chromatic aberration didn’t jive with the kelvin milligrams (they’re totally discombobulated) and now the pixel algorithms are affecting the lumens in my brain cells. I don’t know. 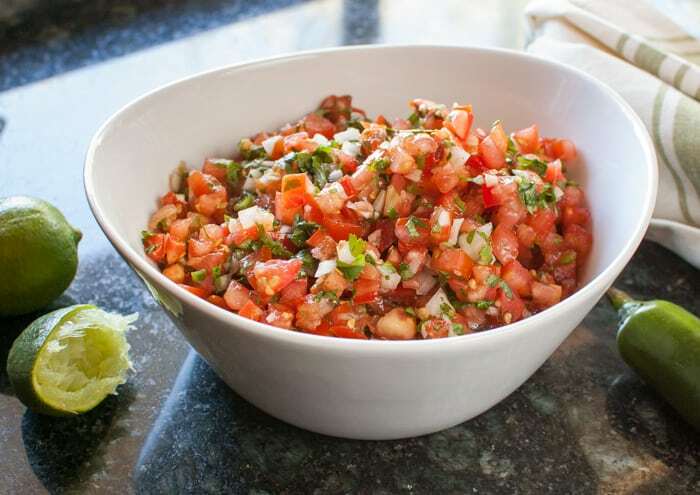 This Pico de Gallo is fairly mild. You can spice it up with some extra onions and jalapeno, if that’s yo thing. There really is no wrong way to make it. So don’t be skerd. Unless you call it SALsa, then be very, very afraid. In a medium sized bowl, mix all ingredients together. Cover and refrigerate for several hours or overnight. After marinating, taste it. 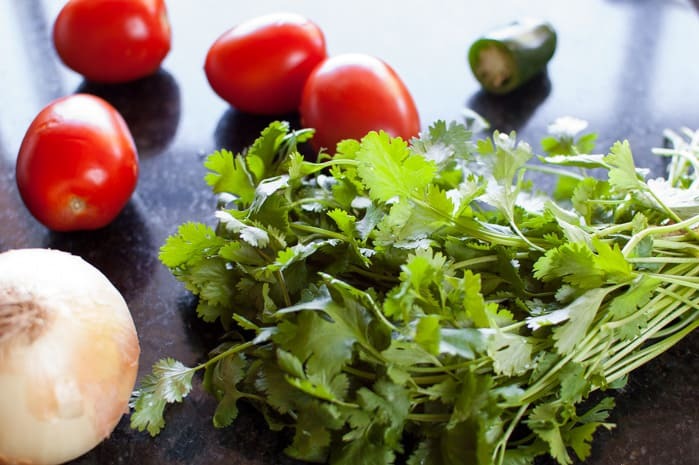 Season with more ingredients if it’s too mild for you (onion, lime juice, jalapeno, or salt). I really, really like you. And this post. And the Better Call Saul reference. Just…everything. 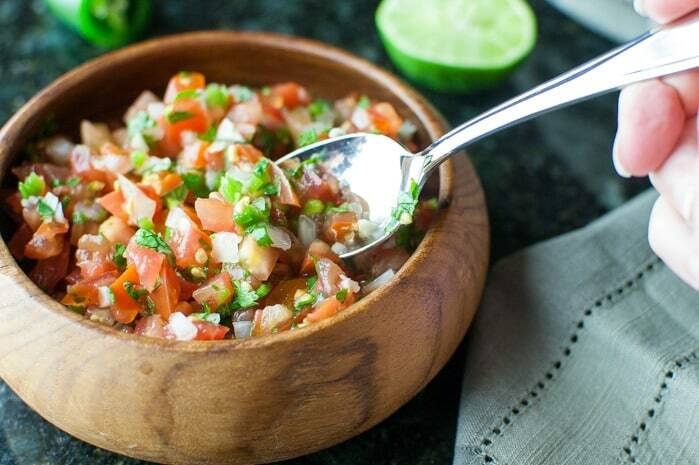 Do you have a recipe for the light pink milder salsa served at the Don Pollo Restaurants or a yellow milder Peruvian salsa? Hi Judy. I’m sorry, I don’t have a recipe for any other Peruvian salsas. I would do a quick Google search and see if you can find anything. Hi, i just found you on Pinterest and I haven’t laughed this hard in awhile!!! You are hysterical,! 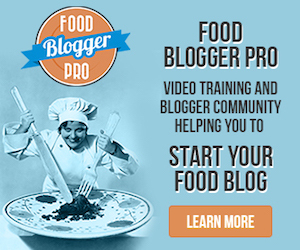 The cucumber salad and the salsa story had me on the floor!!! Thank you and I will try the recipes if I can stop laughing!!! !